1) Eastern Michigan surprised Ball State last week, but was it the most baffling result of the weekend? Explain your choice. OTP: Let’s recap… a team that despite having a hard year last year and some questionable results so far in 2010, an undefeated program from just two years ago, was beaten by a team that had lost upwards of a dozen and a half straight games, is universally regarded as one of the doormats of the MAC and the country, and needed a last minute rally to even force the overtime. Yeah… I’d say that’s pretty baffling, especially if by baffling you mean “the game that makes me want to go to an old folks home and push them down stairs. 2) Pick the four bowl tie-in contestants and, just for fun, polish the crystal ball and figure out who is going to Mobile, Detroit, Boise, etc. OTP: My guess for Bowls is a total shot in the dark, but I’ll go with Temple, NIU, Toledo and Ohio. Let’s say Temple to Detroit, NIU to Mobile, Toledo to Boise, and Ohio to wherever is left. 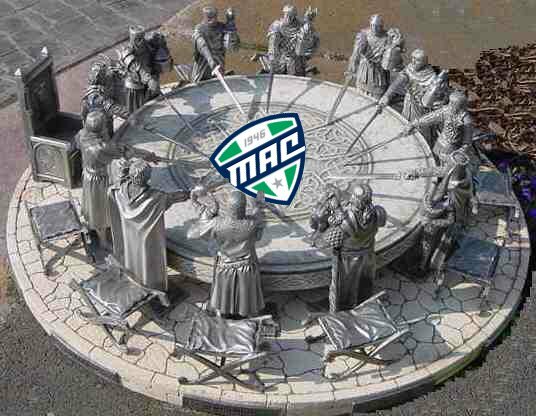 3) Last year there were five MAC bowl teams. How many this year? OTP: Honestly, I think getting 4 into Bowls will be a struggle. There just isn’t a dominant team and there’s the high propensity for some significant chaos down the stretch. 4) Who is the offensive player of the year (and the runnerup) so far in the MAC? OTP: Chad Spann from NIU. Kid’s a beast and a half, but the Temple RB stable is close. Damn close. Combing both Pierce and Brown and you’ve got a monster. 5) Rank ’em in any order you please? OTP: Since we’re not doing power rankings let’s do teams I despise the most. 1.) Buffalo: Self explanatory. See 08 MAC Championship. 2.) Eastern Michigan: Pick someone else to break your streak against. Asses. 3.) Toledo: This week’s opponent is default #3. 4.) CMU: Two words… Ray Bentley. 5.) WMU: Way to ruin Homecoming jerks. 7.) Miami: Our “rival” from the East allegedly. 8.) Kent: East opponent, nothing to hate. 13.) Ball State: Clearly the best team ever. EVER!! !